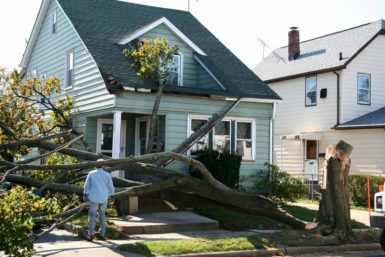 Even if you work hard to ensure that your home’s roof is always in exceptional condition and providing the protection you want, the severe weather that can be common in the O’Fallon, Illinois area can have other ideas. Hail and high winds can wreak havoc on even the best built roof, creating issues that need to be repaired quickly. Fortunately, the residential roofing repair experts at Daech & Bauer Roofing are ready to help when your roof is damaged by severe weather. We’ve successfully completed more than 10,000 projects since we first opened our doors, and our commitment to customer service has helped us earn recognition as a Top 100 Roofing Contractor in the United States by Roofing Contractor magazine. When you partner with Daech & Bauer, we will work closely with your insurance carrier to make sure that all necessary repairs are properly funded. One of our residential roofing repair professionals will attend your roof inspection to help identify areas that have been damaged and need attention. Once the claim summary is completed, we will review it to ensure that it includes all needed repairs and provide a supplement if anything has been omitted. Finally, when your claim has been paid, we will return your home’s roof to optimal condition as soon as possible. And, as an Owens Corning™ Preferred Contractor, you can count on us to use the top roofing products available and to stand behind our work with best-in-industry warranties. Contact Daech & Bauer Roofing today if you would like to learn more about the residential roofing repair services we provide to homeowners throughout the O’Fallon, IL area.